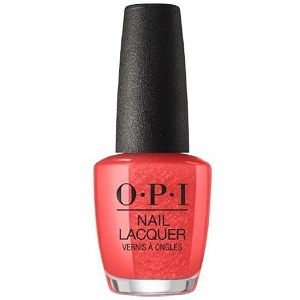 OPI Nail Polish, Now Museum, Now You Don't Nail Polish, NLL21, .50 fl. oz. Almost metallic, fiery rustic red shimmer nail color with coppery, orange undertones.